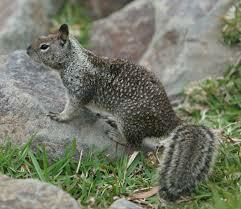 As you know, I have written about the wildlife in my backyard, their habits, antics and entertainment value. My critters (they are varmints when they eat my lettuce, sunflowers and other produce…that’s another story) give me a lot of pleasure and while I gripe about the expense of replanting and preventative garden fencing, they are well worth it. But in addition to providing me with entertainment, the critters are carrying on their life cycle to the best of their ability and take advantage of whatever food and water they can get. It’s easy pickins in my backyard, in more ways than one. A bit before dusk last evening, I was working a crossword and happened to look out and see a sharp-shinned hawk near the seed block under the bird feeders. He had just caught a dove and was in the process of killing it. Not 10 minutes before this event, the feeding area was teeming with various birds, squirrels and rabbits. They were happily pecking and chomping on the seeds and an old zucchini provided for them. When I looked up, it was deathly quiet and nary a critter was to be seen except the hawk and his prey. Everybody knows to hide quickly when this hawk flies over. However, there is an exception to this, which I will tell you in a minute. I watched this drama for quite some time and was quite interested in the process and the entire environment as it evolved. 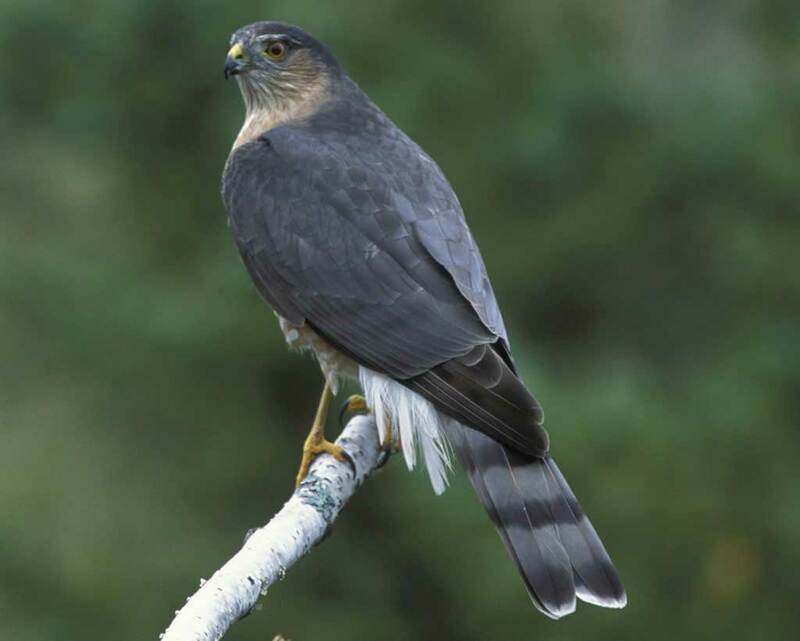 The sharp-shinned hawk is about 14” long and has a wing span of about 20-28.” I’ve seen several but don’t know if they are pairs or what the case is. Anyway, this bird suddenly turned around and spread his wings and tail to cover his prey and then I saw another sharp-shinned hawk make a pass over where my guy was. 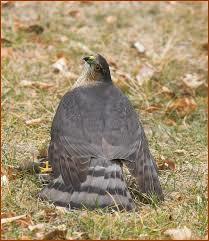 The intruder hawk didn’t try to interfere and soon my hawk was back to business. He must not be very strong because he had trouble moving his prey just a few feet away to be closer to a bush. That is when he began to eat the dove. Soon there was nothing left except feathers. This entire episode took less than 20 minutes. While the hawk was moving his prey and beginning to eat, Sid, the ground squirrel (a varmint), zoomed into the area just below the bird feeders (where all the good seed has fallen). Sid didn’t seem to be aware of the bird at first and began to eat. They were only about 6 feet apart when they became aware of each other. They stared at each other but then went about their business. I think Sid must have known that he was safe because he was too big for the hawk to kill and move. The hawk knew Sid wasn’t going to try to horn in on his meal. Some of you know that Sid is my nemesis as he and his family twice ate my sunflower seeds even before I could get my fence up and they have eaten other produce, much to my chagrin. So I was hoping the hawks would take care of Sid and his family. But I guess I need an eagle or some bird that big to take care of Sid in a natural way. Sid is safe for another day to carry on his nefarious ways. It was quiet in the feeding area for about 10 minutes and then the critters began to return. Soon, it was as if nothing had happened and everything returned to normal. Upon reflection of the entire event, it occurred to me that the drama I watched is a microcosm of life in general. A tragedy occurs and the world continues its journey through the cosmos. Even the survivors eventually return to “normalcy.” It’s life, I guess. Sorry to be maudlin here, it’s just that what I just said is reflected in current events in Carson City where a CC sheriff was shot and killed recently (the first since 1867 to be shot). He is being laid to rest today. It’s sad for the entire community.